I spent three months camping on the beach in Hawaii and in Maui this winter, hanging out and leading several custom family dolphin retreats. 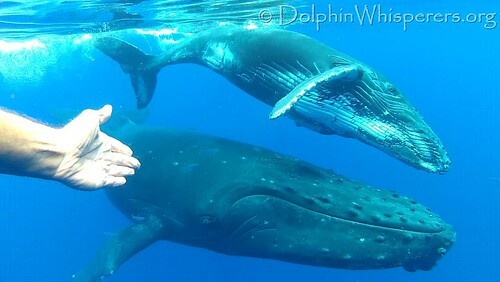 While i was there, i had some absolutely amazing encounters with humpback whales. Joebaby is an author, speaker, dolphin whisperer and spiritual guide who leads spiritual nature retreats around the world and facilitates self awareness programs for those on the path of joyful awakening. A guest on National Geographic, Fox TV and Oprah, Joe reflects back to people that this world is already a Heaven on Earth, and that the tools to find joy in the moment are around and within us. He offers workshops, internet programs and nature retreats that awaken us to our divinely joyful nature.